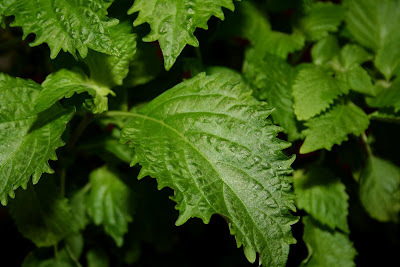 This are SHISO-LEAVES, a wonderfully fragrant, clean minty flavored Japanese herb. Last December, after it had stormed continuously for a week, I noticed the leaves were growing again and they really looked nice and healthy, like it supposed to the past summer the way I wanted them to be. So, during all of January I was able to enjoy the Shiso, using a fresh summer herb in the middle of winter time was great. 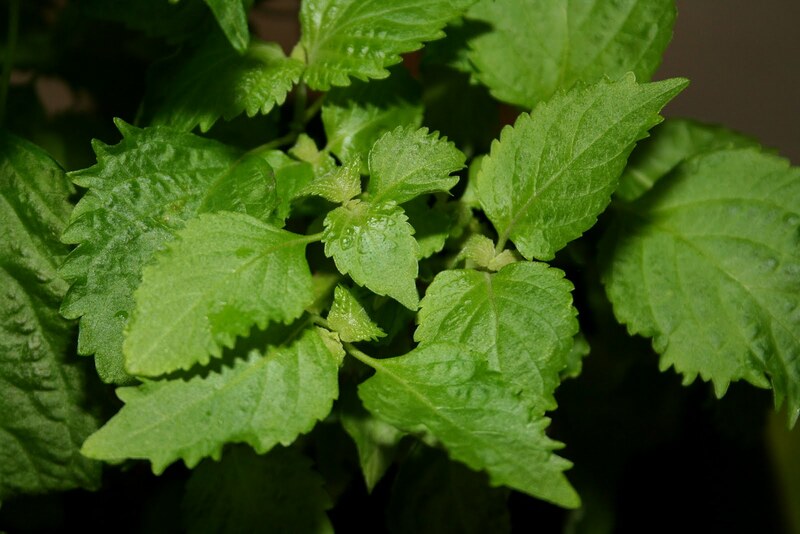 In the U.S., SHISO is called "Japanese mint leaf", or "Beefsteak Leaf", but correctly it is "Perilla" in English and it has nothing to do with plants of any mint family. In a sushi restaurant, this is always placed along with shredded daikon raddish for sashimi dish. These leaves are also great with white fish, tuna. 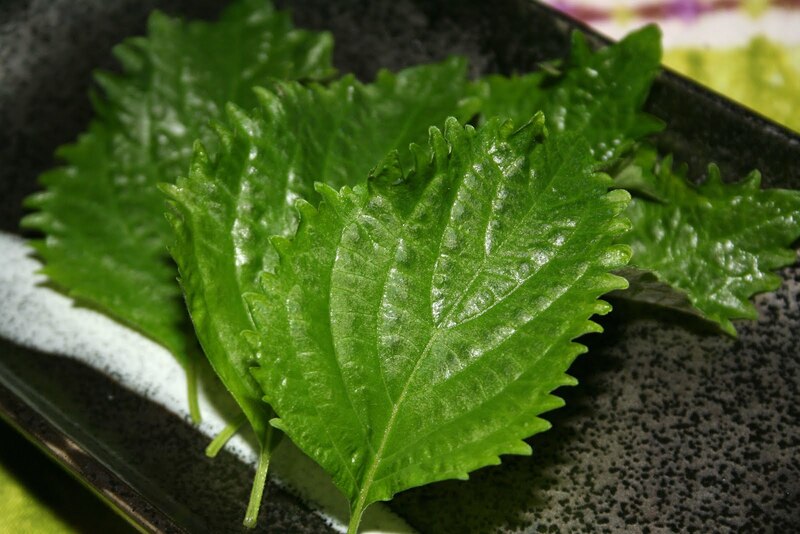 I like tuna rolls with chopped shiso with a lot a wasabi in it, gives the roll a very refreshing taste. Now it's February and they are still alive, I don't know how long I can enjoy this unexpected wonderful moment and what's going to happen to them, but it's lovely to see these leaves at this time of year, freshly picked.